These remarks are excerpted from course handouts given by Rev. Fujita at a workshop called “The Lived-Body Experience in Bud­dhist Meditation” he taught at BCBS in March, 2002. There seems to be a common misunderstanding about zazen, which some people think of as a technique for reaching a state of “no thought.” Such an understanding of zazen assumes that a certain state of mind can be reached by manipulation, technique or method. In the West, zazen is usually trans­lated as “Zen meditation” or “sitting medi­tation.” More and more, in contempo­rary usage, zazen is considered one of the many methods from Eastern spiritual tra­ditions for attaining objectives such as mind/body health, skillful social behav­ior, a peaceful mind or the resolution of various problems in life. It is true that many meditation prac­tices in the Buddhist tradition are helpful in achieving these objectives, and these may certainly be skillful uses of meditation tools. However zazen, as understood by Dogen Zenji, is something different, and cannot be categorized as meditation in the sense described above. It would there­fore be helpful to us to look at some of the differences between zazen and meditation. Dogen (1200-1252) was the founder of the Soto Zen tradition, and a medita­tion master par excellence. 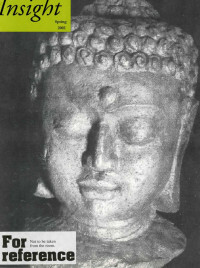 His Shobogenzo is one of the great masterpieces of the Buddhist doctrinal tradition. Contempo­rary scholars are finding much in this text to help them understand, not only a unique approach to Buddhadharma [the teaching of the Buddha], but also to zazen as practice. For Dogen, zazen is first and foremost an holistic body posture, not a state of mind. Dogen uses various terms to describe zazen, one of which is gotsu-za, which means “sitting immovable like a bold mountain.” A related term of great im­portance is kekka-fuza—“full-lotus position”—which Dogen regards as the key to zazen. However, Dogen’s understand­ing of kekka-fuza is completely different from the yogic tradition of India, and this understanding sheds a great deal of light on how we should approach zazen. 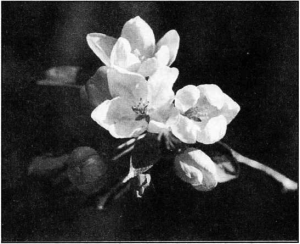 In most meditative traditions, practi­tioners start a certain method of medita­tion (such as counting breaths, visualizing sacred images, concentrating the mind on a certain thought or sensation, etc.) after getting comfortable sitting in full-lotus position. In other words, it is kekka-fuza plus meditation. Kekka-fuza in such us­age becomes a means for optimally con­ditioning the body and mind for mental exercises called “meditation,” but is not an objective in itself. The practice is struc­tured dualistically, with a sitting body as a container and a meditating mind as the contents. And the emphasis is always on meditation as mental exercise. In such a dualistic structure, the body sits while the mind does something else. Meditation practices which emphasize something psychological—thoughts, per­ceptions, feelings, visualizations, intentions, etc.—all direct our attention to cortical-cerebral functions, which I will loosely refer to as “Head.” Most meditation, as we conventionally understand it, is a work that focuses on the Head. In Oriental medicine we find the interesting idea that harmony among the internal organs is of greatest importance. All the issues associ­ated with Head are something merely re­sulting from a lack of harmony among the internal organs, which are the real bases of our life. Because of our highly developed cor­tical-cerebral function, we tend to equate self-consciousness, the sense of “I,” with the Head—as if the Head is the main char­acter in the play and the body is the ser­vant following orders from the Head. However from the point of view of Oriental medicine this is not only a con­ceit of the Head, but is a total miscon­ception of life. Head is just a small part of the whole of life, and need not hold such a privileged position. While most meditation tends to focus on the Head, zazen focuses more on the living holistic body-mind framework, al­lowing the Head to exist without giving it any pre-eminence. If the Head is over­functioning, it will give rise to a split and unbalanced life. But in the zazen posture it learns to find its proper place and function within a unified mind-body field. Our living human body is not just a collection of bodily parts, but is an organically inte­grated whole. It is designed in such a way that when one part of the body moves, however subtle the movement may be, it simultaneously causes the whole body to move in accordance with it. “Just sitting with correct posture’’gets deepened infinitely. How is this quality of being whole and one manifest in the sitting posture of zazen? When zazen is deeply integrated, the practitioner does not feel that each part of her/his body is separate from the oth­ers and is independently doing its job here and there in the body. The practitioner is not engaged in doing many different things in different places in the body by following the various instructions on how to regulate the body. In reality s/he is doing only one thing to continuously aim at the cor­rect sitting posture with the whole body. So in the actual experience of the prac­titioner, there is only a simple and harmo­niously integrated sitting posture. S/he feels the cross-legged posture, the cosmic mudra, the half-opened eyes, etc., as local manifestations of the sitting posture be­ing whole and one. While each part of the body is functioning in its own unique way, as a whole body they are fully inte­grated into the state of being one. It is experienced as if all boundaries or divi­sions among the bodily parts have van­ished, and all parts are embraced by and melted into one complete gesture of flesh and bone. We sometimes feel during zazen that our hands or legs have vanished or gone away. The term “shoshin-taza” might be best understood in terms of posture and grav­ity. All things on the ground are always pulled toward the center of the earth by gravity. Within this field of gravity, every form of life has survived by harmoniz­ing itself with gravity in various ways. We human beings attained upright posture, standing with the central axis of the body vertically, after a long evolutionary pro­cess. The upright posture is “anti-gravita­tional,” insofar as it cannot exist without uniquely human intentions and volitions that operate subliminally to keep the body upright. When we are sick or fatigued, we find it difficult to maintain the upright posture and lie down. In such situations the intention to stand upright is not op­erational. Although the vertical posture is anti-gravitational from one perspective, it can be properly aligned to be “pro-gravita­tional,” i.e. to follow gravity. When the body is tilted, certain muscles will become tense in order to maintain the upright pos­ture; but if various parts of the body are integrated correctly along a vertical line, the weight is supported by the skeletal frame and unnecessary tension in the muscles is released. The whole body then submits to the direction of gravity. The subtlety of the sitting posture seems to lie in the fact that “anti-gravitational” and “pro-gravitational” states, which may seem contradictory at first glance, coexist quite naturally. Our relationship to grav­ity in shoshin-tanza is neither an anti-gravi­tational way of fighting with gravity through tense muscles and a stiff body, nor a pro-gravitational way of being defeated by gravity with flaccid muscles and a limp body. In shoshin-tanza, while the body sits immovably like a mountain, the internal body is released, unwound and relaxed in every corner. Like an “egg balanced on end,” the outer structure remains strong and firm while the inside is fluid, calm and at ease. Except for minimally necessary muscles, everything is quietly at rest. The more relaxed the muscles, the more sensible one can be, and the relationship with gravity will be adjusted more and more minutely. The more the muscles are allowed to relax, the more precise aware­ness becomes—and shoshin-tanza gets deepened infinitely. In zazen we move from the head to the heart and into our Buddha-nature. I often find that people think of zazen as a solution to personal sufferings and problems or the cultivation of an indi­vidual. But a different perspective on zazen is provided by Kodo Sawaki Roshi’s words, “Zazen is to tune into the universe.” The posture of zazen is connecting us to the whole universe. As Shigeo Michi, a well-known anatomist of the last century, puts it, “Since zazen is the posture in which a human being does nothing for the sake of a human being, the human being is freed from being a human being and be­comes a Buddha.” (Songs of Life—Paeans to Zazen by Daiji Kobayashi). Michi also asks us to make a distinc­tion between the “Head” and the “Heart,” saying how in zazen our internal “heart functions” reveal themselves quite vividly. The Head that I have been talking about may correspond to the technical Buddhist term “bonpu” which means ordinary human being. A bonpu is a non-Buddha, a person who is not yet enlightened and who is caught up in all sorts of ignorance, fool­ishness and suffering. When we engage in zazen wholeheartedly, instead of keeping it as an idea, we should never fail to un­derstand that zazen practice is, in a sense, negation or giving up our bonpu-ness. In other words, in zazen we move from the Head to the Heart and into our Buddha-nature. If we fail to take this point seri­ously, we ruin ourselves by pandering to our own bonpu-ness; we get slack, adjust zazen to fit our bonpu-ness, and ruin zazen itself. Dogen Zenji said, “[when you sit zazen] do not think of either good or evil. Do not be con­cerned with right or wrong. Put aside the operation of your intellect, volition and con­sciousness. Stop considering things with your memory, imagination or reflection.” Following this advice, we are free, for the time being, to set aside our highly developed in­tellectual faculties. We simply let go of our ability to con­ceptualize. In zazen we do not intentionally think about anything. This does not mean that we ought to fall asleep. On the contrary, our con­sciousness should always be clear and awake. What is the significance of giving up all these hard-won human abilities while we sit in zazen? I believe it is that we have the opportunity to “seal up our bonpu-ness.” In other words, when sitting in zazen we unconditionally surrender our human ignorance. In effect we are saying “I will not use these human capacities for my confused, self-centered purposes. By adopting zazen posture, my hands, legs, lips and mind are all sealed. They are just as they are. I can create no karma with any of them.” That is what “seating up of bonpu-ness” in zazen means. When we use our sophisticated human capacities in our everyday lives we always use them for our deluded, self-centered purposes, our “bonpu” interests. All our actions are based on our desires, our likes and dislikes. The reason we decide to go here or there, why we manipulate various objects, why we talk about various sub­jects, have this or that idea or opinion, is determined only by our inclination to sat­isfy our own selfish interests. This is how we are. It is a habit deeply ingrained in every bonpu human being. If we do noth­ing about this habit, we will continue to use all our wonderful human powers ignorantly and selfishly, and bury ourselves deeper and deeper in delusion. What he means is that there should be absolutely no sign of bonpu activity any­where in the body, speech or mind; all that is there is the mark of the Buddha. The body does not move in zazen posture. The mouth is closed and does not speak. The mind does not seek to be­come Buddha, but instead stops the men­tal activities of thinking, willing and con­sciousness. By removing all signs of bonpu from our legs, hands, mouth and mind (which ordinarily act only on behalf of our deluded human interests), by put­ting the Buddha seal on them, we place them in the service of our Buddha na­ture. In other words, when our bonpu body-mind acts as a Buddha, it is trans­formed into the body-mind of a Buddha. We should be very careful about the fact that when we talk about “sealing up our de­luded human nature” this “de­luded human nature” we are talking about is not something which exists as a fixed entity, as either a subject or an ob­ject, from its own side. It is simply our perceived condi­tion. We cannot just deny it and get rid of it. The fact of the matter is that when we sit zazen as just zazen, without in­tentionally intending to deny anything, our deluded human nature gets sealed up by the emergence of our Buddha na­ture at all three gates of karma, i.e. at the level of our body, speech and mind. As a result, our deluded human nature is auto­matically renounced. All the foregoing explanations—of renunciation, of sealing up, of deluded human nature—are just words. 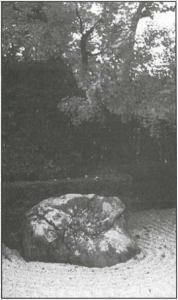 These explanations are based on a particular, lim­ited point of view, looking at zazen from outside. Certainly it is true that zazen of­fers us the opportunities I have been de­scribing. However, when we practice zazen we should be sure not to concern ourselves with “deluded human nature,” “renunciation,” or any such idea. All that is important for us is to practice zazen, here and now, as pure, uncontaminated zazen.